The Times reports that drug gangs from London use "violence, coercion and ingenuity" to fight over provincial narcotics markets. The term county lines stems from the mobile numbers that control drug territories, the paper states. The paper also quotes figures from the National Crime Agency (NCA) estimating that there are now 720 lines across the country, which means county lines have expanded significantly in the last three years. The Times carries a separate article with a focus on Hastings as an example of what the paper describes as one of "scores of towns and cities" across the country affected by county lines. The Star reports that thousands of children with some as young as 12 are being groomed by drug dealers to carry cash and drugs around the country as part of the drug rings' expansions. The Independent carries a feature about a 14-year-old girl who travels from London to other parts of the country every day with a large supply of class A drugs intended for local drug markets and states that cases such as hers of modern slavery and trafficking are increasing. 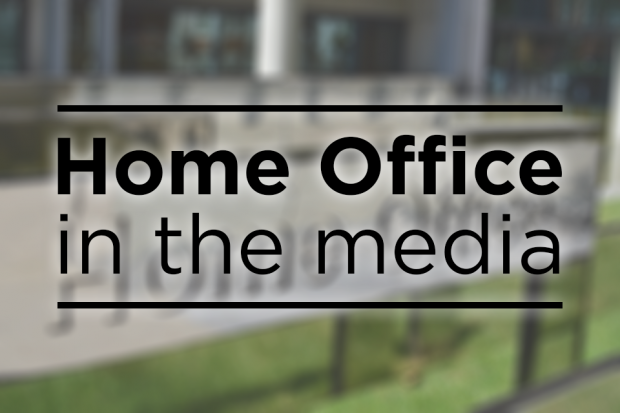 Below is a statement outlining the Home Office's work to tackle county lines. County lines gang activity and the associated violence, drug dealing and exploitation have a devastating impact on young people and vulnerable adults. This Government is leading the fight against this emerging threat, and taking measures to ensure police and practitioners have the tools they need to crack down on offenders and protect victims across all our communities. The Home Secretary is co-ordinating the national response to this scourge by overseeing a county lines working group with other government departments, law enforcement agencies and local government. We have published guidance to help front-line professionals across the country – who deal with the consequences of county lines first-hand – to identify potential victims of county lines and appropriate referral routes. We are in the process of introducing Regulations to give the police and the National Crime Agency powers to make sure mobile network companies close down phone lines used for county lines drugs dealing.